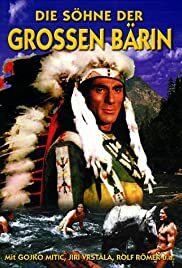 Directed by Gottfried Kolditz, this action-packed Eurowestern is based loosely on the legend of heroic Apache warrior Ulzana. Tokei-ihto rides to Fort Smith for negotiations between Indians and white men, although he does not trust "Red Fox" Clark who introduced the natives to drinking and gambling. He even killed Tokei-ihto's father. Tokei-ihto is taken prisoner after he refused to sign a contract, but he escapes. Finding a peaceful land for themselves is a long and dangerous mission for Tokei-ihto's tribe. They are crossing the Missouri river while Tokei-ihto stays behind for a duel against Red Fox.